For Christmas this year, a dear friend sent me a calendar for 2015. The subject of the calendar is movie stills from the greatest flick of all time – The Goonies! This friend knows I’m a sucker for that movie; he saw the item and thought of me. Boy, am I glad he sent that thing! I’ve been thinking about where in the house to put it since I opened it on Christmas morning. We’ve got a movie/television show theme in our living room so it could work out there. But I like having a calendar in my office as well. This morning, as I was once again debating the placement of my own little treasure, I started thinking about the movie. The movie is about a group of kids who call themselves The Goonies and they end up on an adventure, along with a couple other friends, to try to find treasure at the end of a map they discover in the lead character’s attic. They know that treasure will save their homes from going into foreclosure and they can all live happily ever after. I know the movie by heart. Actually, I know stuff about the movie to the level of obsession. Seriously. I could sit here and quote the thing word-for-word, point out all the editing mistakes, interject where certain scenes were cut or which lines were improvised, plus tell you who of the original cast is no longer with us. Among other little pearls of trivia. So this morning I began thinking about the script, plot and structure of the story. There’s a lot of debate and discovery in the first 40 or so minutes of the movie but things don’t really get going until one very important line is uttered by the leading male character in the movie. The line that Sean Astin’s “Mikey” blurts out when they’re about to get caught by the Fratellis and need to dive under the fireplace to hide, suddenly hit me like I’d never heard it before. 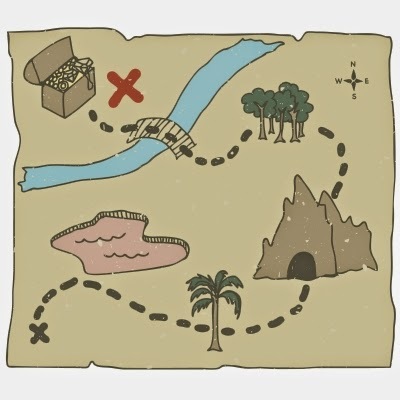 In the movie, Mikey is talking about the trail leading to One Eyed Willie and his buried treasure. I interpreted it a little differently today. Because it doesn’t matter what I wrote back in November during NaNo. That was just Act I. A catalyst to get me moving on the story, characters and structure of the plot. Just like Mikey and the gang in the scenes leading up to those four infamous words. I won’t spoil the movie if you’ve never seen it but stuff happens, they’re all tested over and over again and in the end there’s a very touching happily ever after. So I’m using the story in the movie to help keep me on track as I pull together all this gobeldy-gook from November. I will find some things are really easy to plot out. Other elements of the story or process will present their challenges – testing me, just like the Goonies were tested and challenged – and I’m going to have to do my best to overcome them. Because I refuse to be captured by the bad guys (AKA: procrastination and lack of determination) and that pirate gold (AKA: my finished novella) is waiting for me just around the corner! Today, as I sit down in my office (after taking almost the entire month of December off to enjoy the holidays), I’m reminded that my journey to complete the Shaw McLeary Series might be a long one but I owe it to myself to see the adventure through to the end.